Olivier Huart was appointed CEO, TDF Group on February 1st 2010. 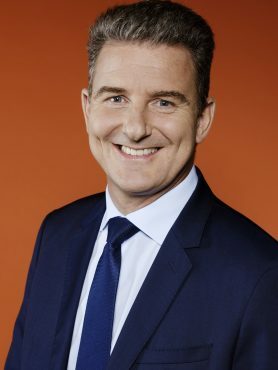 He is in charge of adapting the European leader of the broadcasting industry to its new paradigm, ie transforming TDF from an incumbent broadcaster to an innovative media & telecoms infrastructures player in France while at the same time improving its financial performance. Prior to BT, Olivier led Cegetel, the first full-fledged alternative carrier to France Telecom, for the five years until full merger with NeufTelecom. Within Cegetel, Olivier tripled revenues, redefined core business, repositioned activities, developed talents and returned to sound financials. Previously, as Vice-President for Public & Regulatory Affairs of the SFR-Cegetel Group, Olivier pioneered the opening of the telecommunications market. At the very beginning of his career within France Telecom, Olivier held various management positions in both business management and marketing. Olivier is a graduate of Ecole Polytechnique Paris, Telecom Paris and INSEAD.